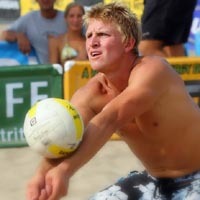 Schultz played at D'Youville College in New York, where he was a three-time AVCA Division III Player of the Week and a 2004 first-team All-American. He was featured in Volleyball Magazine's April 2004 issue. He later received an Associate's degree in Health and Physical Education from Niagra County Community College. He currently coaches boy's volleyball at Grand Island High School.